Simple : to combine football games broadcasted in ideal conditions (big screen in a concert hall) + good finger-food with chiefs from all over Europe + Black Blanc Bled exhibition and happenings. 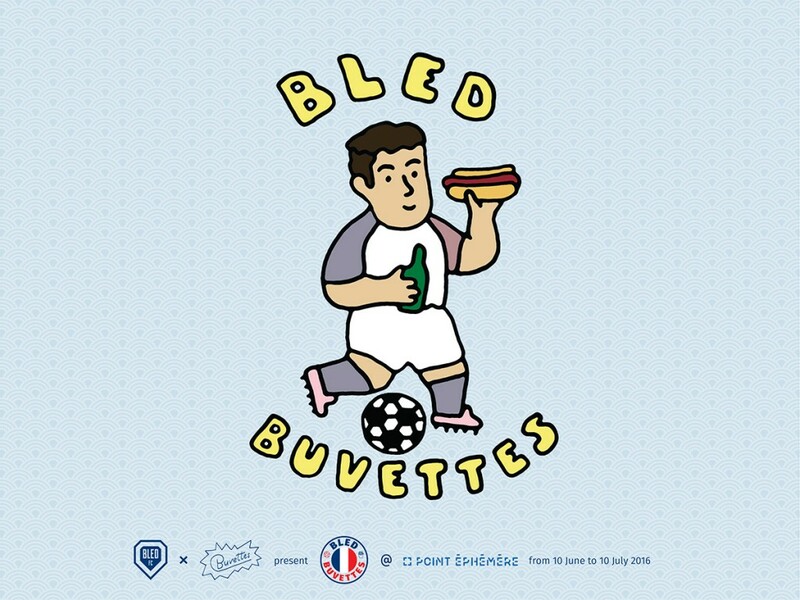 – Black Blanc Bled exhibition from an artists’ selection giving their vision of France football today: : Jean Jullien, Clelll, Inès Longevial,Lalasaidko and other surprises. – Happening: Lalasaiko, Jolie Foulée and Retard Magazine are preparing themselves for great events.